About Crystal Coast | NC Beach Vacation Rentals | Surfside Realty, Inc.Surfside Realty, Inc.About Crystal Coast | NC Beach Vacation Rentals | Surfside Realty, Inc. The Crystal Coast is North Carolina’s Gem, featuring 85 miles of beautiful North Carolina coastline and nine distinct regions. 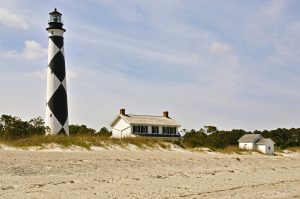 There is lots to see, do, and discover during your visit of North Carolina’s Crystal Coast. 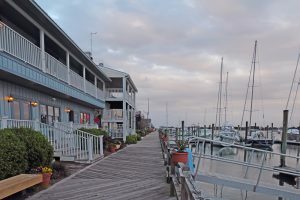 With amazing locations like Emerald Isle, Atlantic Beach, “America’s Favorite Town” of Beaufort, and more, you’re sure to find something that brings you back year after year. With so much to explore, the Crystal Coast offers more than just a vacation experience – it’s an adventure! Whether you’re looking to lay on the beach in the soft sand and sun, cast a line into the beautiful blue water, spend some quality family time on an outing, or find the coasts best cuisine, the Crystal Coast has exactly what you have been looking for. The History of the Crystal Coast is just as enticing as the adventures you can get into. Where history and modern culture meet and with nicknames like “Graveyard of the Atlantic,” how could you not want to learn all you can about a location with such a colorful background? Rich with ghost stories and pirate legends, including some tales of the notorious Blackbeard, there are so many tales to be told of the Crystal Coast. At Surfside Realty, we are positive that you will enjoy your visit to the Crystal Coast. Click here to learn more about the awesome things to do and sights to see in the area. While you’re planning your trip, don’t forget to check out our beautiful and convenient vacation rentals, perfect for your summer beach vacation. You can find the perfect home-away-from-home on our Rentals page. Contact us to make your reservation with us at Surfside Realty Inc. Bring your beach chair and swimsuit and come prepared for a relaxing vacation, lots of adventures, and don’t forget your sunscreen!